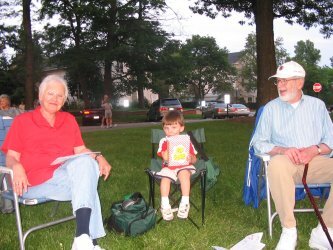 In the summer, one of my favorite things to do is to go hear music with the Boerners. Here we are at a Concert on the Green in Hudson. This year, I discovered that they sell popcorn at these events.